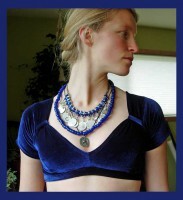 The beautiful Raj Coin necklace is a great way to add color to a costume and help pull it together. Lower picture shows the lapis blue necklace together with the Raj coin belt, doubled and worn as a choker for over the top abundance! Made with replica Raj era pewter/silver toned Indian coins. 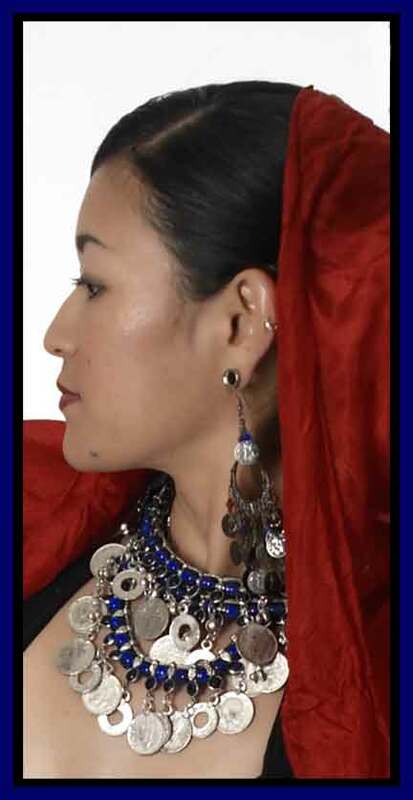 The Beads are glass and wonderfully irregular; they look and feel hand - not factory -made. 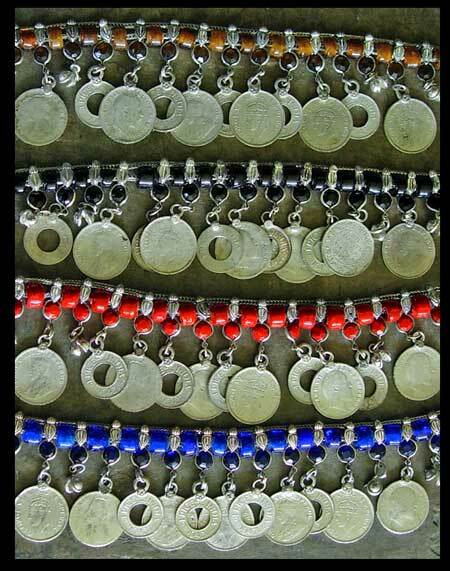 Colors: Silver/pewter coins with Black, Amber (SOLD OUT), Carnelian Red, or Cobalt Blue glass beads. Click here for close up.